The average asking price of property in Telford increased by 1.9% or £3,435 compared to a year ago, with particularly good demand from landlords and home-movers in the first few months of the year. This takes the current average asking price to £181,348, compared with £177,913 this time last year. 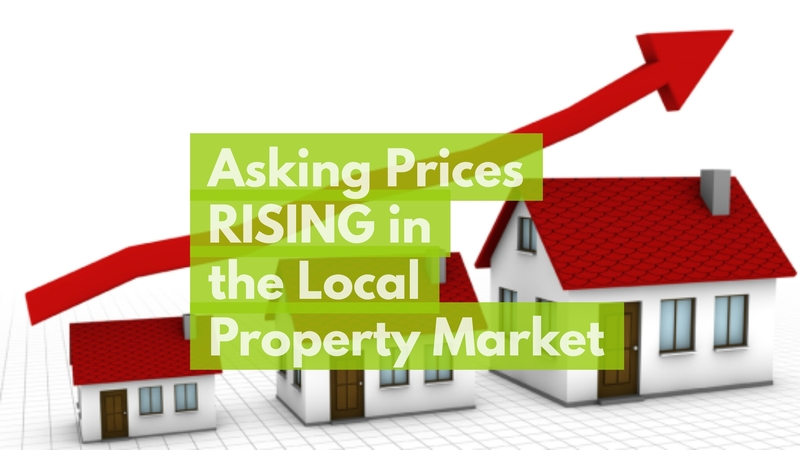 The rise in asking prices is being aggravated by buyers jumping into action looking to benefit from potential stamp duty savings (especially first-time buyers) or beat impending mortgage interest rate rises later in 2018. Of the numerous Telford buyers starting their property hunting in the usually active spring market this year, many face paying even more than ever for the property of their dreams, and as I mentioned a few weeks ago, there are less properties for sale in Telford compared to 12 months ago. Interestingly, when you look at the percentages, the most upward average asking price pressure is in the apartments and detached property type sectors, with both first-time-buyer and second-time-buyer properties at new Telford asking price highs. Now, I must stress this growth in the asking prices of Telford property doesn’t mean the value of Telford property is going up by the same amount … nothing could be further from the truth. Only time will tell if the current levels of Telford asking prices is a catch-up abnormality after a couple of months of restrained asking price rises in the first few months of 2018, or is it an initial sign that we are in for a better 2018 Telford Property market than all of us were expecting at the start of the year? I believe these asking prices must be viewed with a pinch of salt, as it will be fascinating to see whether Telford properties actually sell at these higher asking prices. Just because house sellers (be they owner-occupiers or landlords liquidating their assets) are asking for more money it doesn’t mean buyers will be enthusiastic to part with their hard earned cash. Like my Mum and Dad say, “You can ask … but you might not get”. Also, Telford homeowners and landlords wanting to sell their property need to be aware of progressively strained buyer mortgage affordability and the more those sellers increase asking prices, the more buyers will hit their maximum on the amount they are able borrow on a mortgage. However, those Telford buyers who need a mortgage (be they owner-occupier or landlord), will benefit from lower mortgage payments before interest rates rise … maybe another reason for the uplift in the number first time buyers and landlords buying? Only time will tell! £570 pcm – The Average Telford RentWhat Will Happen to Telford Property Values now Interest Rates have Risen?